Hi friend!! Well I hope the move went okay for you! Its a beautiful state! I love unplugging once in a while when I can. So refreshing! welcome back! hope all went well with your move! So glad to have you pop in for a minute! I hope youre enjoying NC..can't wait to hear the details! Love that photo. Is it a redbud? They're all over Oklahoma. So gorgeous before they sprout leaves. Hello friend, glad you're back to blogging! Hope your move went well! Nice to see you are back and with such a lovely photo too. So happy you're back, you were missed! hope you enjoyed your move, lovely photo! I hope things with you are going well. I look forward to more posts from you. We all deserve a blogging break every now and then - planned or unplanned. What part of NC are you in? I have family on my husband's side in Durham, Raleigh, and Ayden. I here that the weather is just gorgeous right now. 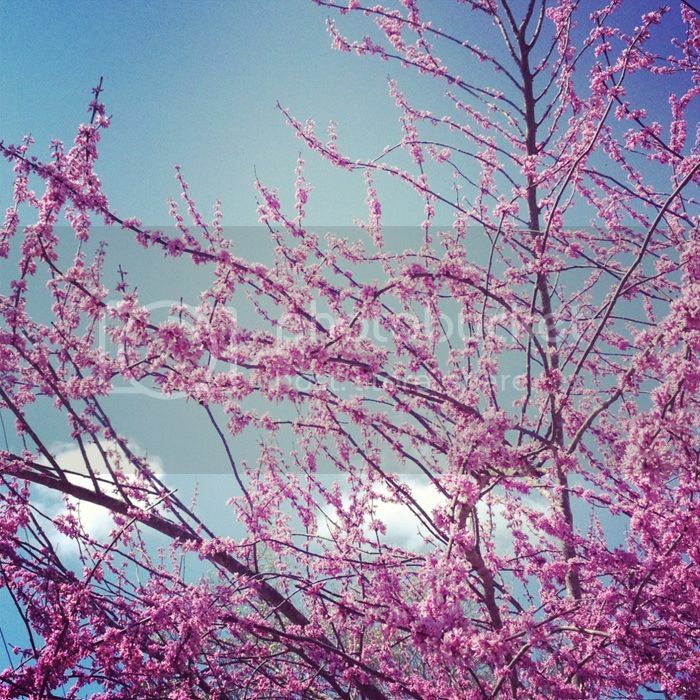 Love your Spring photo, those blossoms are pretty!